The fans are convinced he is innocent and in their chatrooms they have praised the Worcester Review for giving a fair account of the court proceedings. 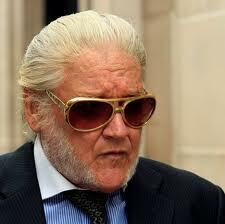 P J Proby is on trial for wrongly claiming £47,000 worth of benefits – pension, housing benefit and council tax rebate. Those who think life on benefit is idleness and luxury should note that this was meant to be his total income for eight years. In the sixties, P J became notorious for splitting his pants when on stage. £6,000 a year does not leave a lot for clothing. The singer was first seen in the UK when he appeared in a TV show called ‘Around The Beatles’ which was produced by Jack Good. It showcased The Beatles well. The next day, though, Proby was the talking point in the school. Proby had sung ‘I Believe’ and had delivered a bewilderingly accurate impersonation of Elvis. People who were averse to Elvis raved about Proby and his imitation. The conversations demonstrated how admiration for the talent of Elvis could often co-exist with antipathy to the man. Elvis always drew ridicule and there is a possible irony. 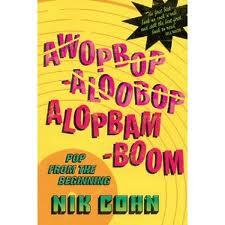 Proby possibly mistook that antipathy and ridicule for success and fame. It may have shaped his self-destruction. Now, he is accused of being a benefit cheat and the reasons why are obvious. James Marcus Smith, his real name, is no longer capable of being P J Proby. His own flaws have played a part but this is a trapped creature and those who rush to take the disabled off benefits or condemn them to an existence below subsistence levels need to think about the case and life of P J Proby. He is one of many injured creatures and they need support, especially as the rest of us are often responsible for the injuries. But back in the sixties Proby was welcomed as a sensation. He may have been American but Britain now had its own Elvis. Compared to The Beatles he was insignificant but he did help a British generation sidestep what had become an American irritant. Jack Good used Proby in two of his musicals – a rock and roll version of Othello and a musical based on the real Elvis. The show by Good had three leads playing Elvis. Proby played the 70s star and he produced fabulous vocals. Unfortunately, Proby had lingering temperamental weaknesses. He was an alcoholic and he was not averse to being worshipped by women. Normally, the latter is not a fatal weakness in rock and roll performers. In fact, it might be an essential competency. But Proby not only took it to excess he did it in a country that had the News Of The World as its most popular Sunday newspaper. The press were on to him almost from the beginning. The British establishment, compared to their mainland European neighbours, may once have had a very liberal attitude towards anarchists but wear a pony tail and split your trousers and you court disaster. So it proved. The career of Proby soon deteriorated although he continued to receive offers of work, hence the benefit fraud. It seemed to distant spectators that James Marcus Smith lacked discipline and he would rather be adored than make an effort. Maybe he had difficulties and circumstances that the rest of us underestimate. Even after the decline he recorded singles and CDs. They may not have appeared frequently but they were issued regularly. There was always another independent record producer who believed in Proby. Before he left the States, James Marcus Smith had used the name Jett Powers, so perspective may have been lost almost immediately. He sang demos for Elvis, and Ernst Jorgenson in ‘The Complete Recording Sessions’ mentions that his demo version of ‘Slowly But Surely’ is superior to the final version by Elvis. This may be true because Elvis was not inspired at these 1963 sessions. I have my doubts. Proby is a fabulous ballad singer but his rock music is mechanical. He had energy and no doubt the demo would have had plenty but his sense of rhythm was never inspired. His virtuosity on a ballad, though, was second to none which is why most of us will feel sorry for the man and hope he will be found not guilty. We think of a reduced life and remember his stunning version of ‘Somewhere’. When the record was released it appeared as if the future might be his but it was an illusion and the best he could do afterwards was a version of ‘Maria’ that only imitated the earlier success. P J resented the fame of Elvis. He once described Elvis as typical of the singers in the American South who made rock and roll music. He was wrong about Elvis and he misunderstood himself. 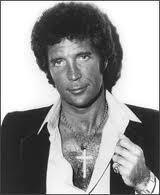 Despite his stunning debut on the Jack Good show, Proby was soon overtaken in popularity by Tom Jones. 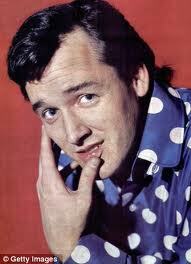 The Welshman was an inferior talent to both Elvis and Proby but he had versatility and, well, we endured what followed. Supposedly, Elvis and Proby clashed. Elvis told Proby to stop drinking. Elvis was happy for Proby to drink spirits but hated people around him to drink beer. Proby thought this irrational but the explanation is simple. Presley’s mother was a beer drinker and seeing people drink beer had unpleasant memories for Elvis. At one point in his life, Proby lived in a council house in North Manchester. The Saddleworth Hills are close and it is tempting to imagine Proby venturing on the uplands. This is where Brady and Hindley buried some of their victims. It is a confusing landscape, beautiful and welcoming in the summer and terrifyingly hostile in the winter, suitable for a man who could promise so much with certain material but then became ordinary with the alternatives. Like the rest of us, Proby has mellowed with age which is probably why he now lives in Worcester. There will be some who will use the fall of Proby as a justification for Parker and claim that without his manager Elvis would have probably suffered a similar fate. Right now, Elvis might be tempted to swap. Proby is still alive and at seventy two years of age he even has impressive sideburns. Both men split their pants on stage and both have been eccentric with money. Elvis paid his tax without employing an accountant and Proby made no attempt to relate the earnings from his fading career to his benefit support. The man from Texas deserves a break. When he states he often lost money from his appearances at the end of his career I am prepared to believe him. But I have also forgiven Elvis for his mistakes. Naivety and excess loyalty may be in my nature.